An entirely new approach to further help prevent knee injuries. 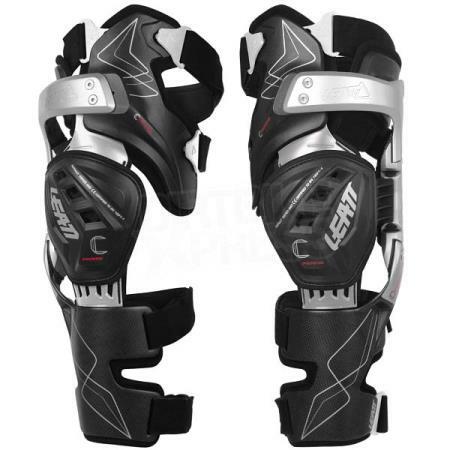 No knee brace can prevent all foreseeable knee injuries but Leatt® laboratory engineers and other medical professionals have come up with a radical design to help further reduce injuries over what traditional “cage type” knee brace designs can do. 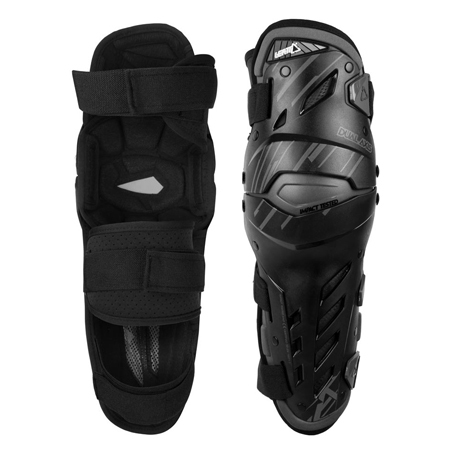 The main features of a new type of knee brace should include better comfort, lower profile under the boot, reduction/elimination of excessive forces put on the femur (thigh bone), reduction/elimination of rotational forces that damage knees even on knee brace users, better knee cap (patella) protection, bring the inside of the knee closer to the bike for better control, longer last hinge mechanism that better replicates the natural motions of the knee joint. 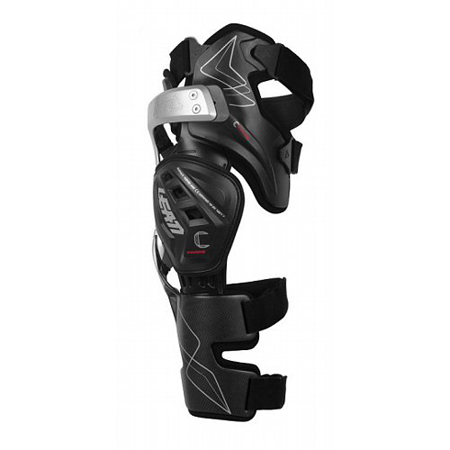 The C-Frame knee brace is based on three point force distribution and has a super stiff mono hinge design for maximum force control. Having a single hinge, mounted towards the outside of the rider’s knee means the rider can better grip the bike with the inside of their knee. A comfortable, low profile shin bone plate replaces traditional arms for better comfort and better rotation control. This plate also allows riders with larger calf muscles to wear a knee brace for the first time. InteliLink hinge with double pivot points, BioLink hinge ligaments and sealed bearings inside better replicate natural knee motion and have a very long lifespan. 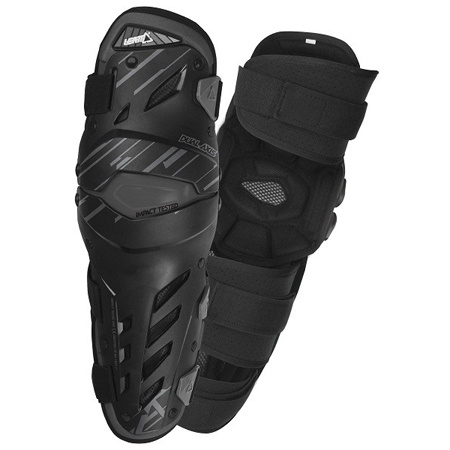 Vented upper leg plates eliminate the narrowly focused sideways forces on the soft tissues of the thigh. This decreases sideways bending of the knee as well as helps reduce rotational forces. It also allows for better fitment on more shapes/sizes of legs without the need for expensive custom moulds. 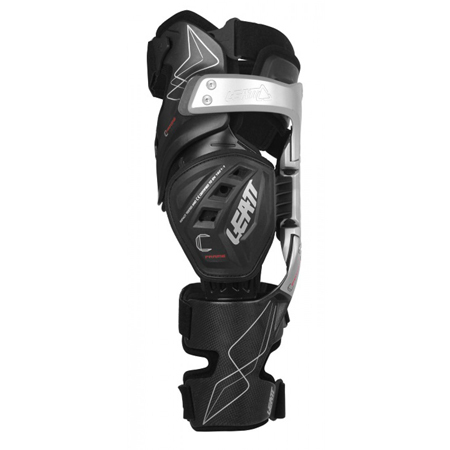 Leatt® engineers also placed a CE impact certified protector onto the brace for maximum patella protection. 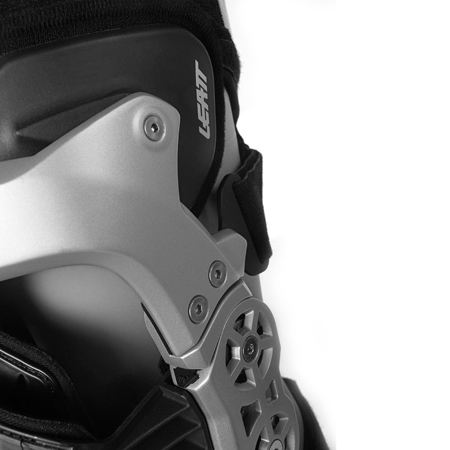 The Leatt C-Frame Knee Brace ensures supreme protection for the extreme adventure rider. Super stiff mono hinge construction. C-Arm made of die-cast 383 Aluminium alloy. Adjustable soft lock outs help prevent hyper-extension. Super low profile of inner knee for better bike control. 3 sizes: S/M, L/XL, XXL. 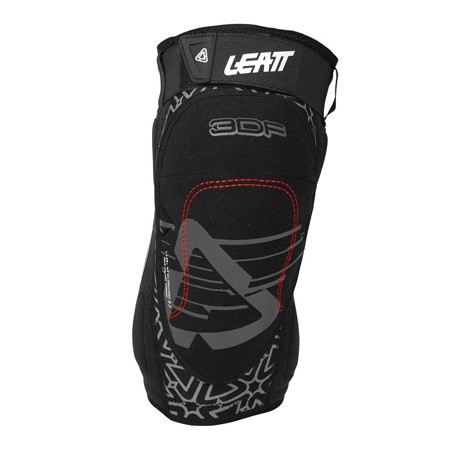 Comfortable, well ventilated with great levels of impact protection. 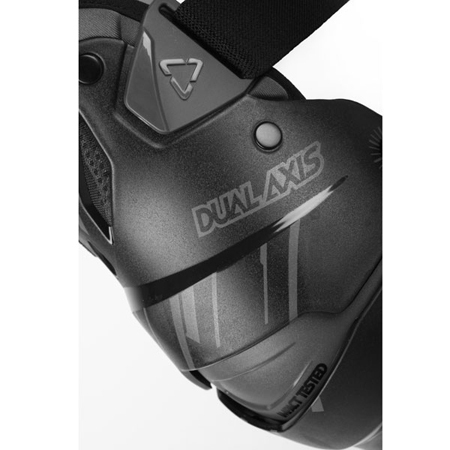 Dual Axis knee and leg guards are comfortable, well ventilated protectors with two pivot points that allows them for more accurately bend with the human knee’s natural movements. 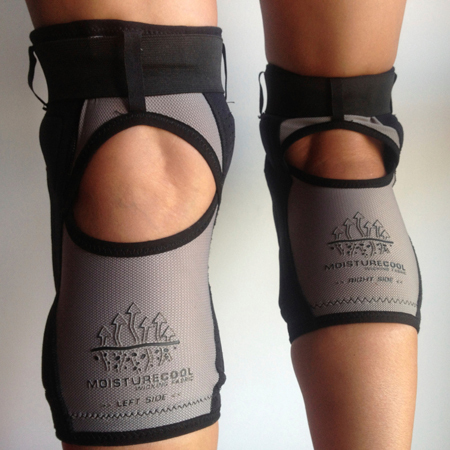 They cover the knee, even when fully bent, as well as the lower thigh and most of the lower legs. Great levels of impact protection are proven by the CE impact safety standard they are certified to. They are also certified to CE’s abrasion resistance safety standard. Strap buckles are low profile with no edges to hang up on your riding pants. Straps are also backed by soft, comfortable, vented airprene material that resists slipping. Lighter weight, most comfortable and offers more freedom of movement than almost any other CE certified protection system. 3-Dimensionally designed for optimal fit. Abrasion tested and CE certified to EN 13595-2, Level 2. Anatomically correct dual pivot points. Light at only 1.9 pounds (850grams) per pair. Slim design for use over or under riding pants, fits well with boots. 9 large vents help keep you cool. Made from High Density Poly Ethylene, HDPE, and washable Leatt foam. Big on protection, yet light and comfortable. 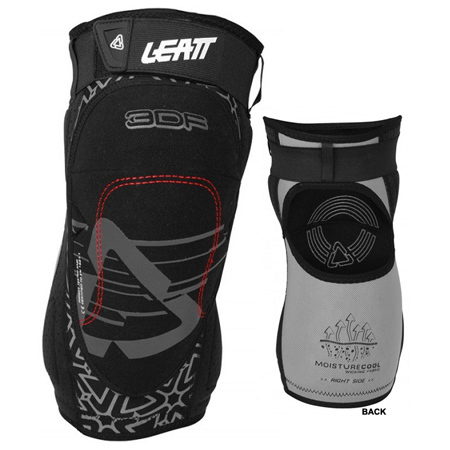 The 3DF Knee Guard uses new Leatt’s 3DF, 3-dimensional, foam that offers a soft and flexible fit and energy-absorbing protection upon impact. This combination results in comfortable lightweight CE certified protection. Protection that includes MoistureCool wicking fabric that keeps you cool and Aramid Fibre for maximum abrasion resistance. 3-dimensionally designed for a perfect fit. Impact tested and CE certified to CE EN 1621-1, level 1. Abrasion tested CE certified to CE EN 13595-2, level 2. Moisture cool wicking fabric helps keep you cool. Silicon laminations keep protectors in place. Side padding helps protect the delicate parts of the knee. Adjustable strap for an easy individual fit. Weighs only 450 grams (15.8 ounces) per pair S/M.